Rising from a devastating tragedy, Sonya Ryan, the mother of schoolgirl Carly Ryan murdered by an internet predator in 2007 has today launched a new personal safety app, called Thread. The Carly Ryan Foundation partnered with digital engagement specialists KOJO, and with support of the Government of South Australia and Google, developed Thread to help children and teenagers stay connected, deal with unsafe situations online, away from home, and everywhere in between. After losing her daughter to an internet predator in 2007, who is now serving a life sentence behind bars, Sonya Ryan dedicated her life to educating young people and parents of the dangers of cyber crime. Speaking at the launch of Thread she said the app has been developed to ensure the safety of those in our society who are most vulnerable. “My daughter Carly was groomed by a middle-aged man who posed as a teenage boy online for over 18 months, operating over 200 fake profiles to lure children online. As the first girl in Australia to be murdered by an internet predator it opened up a critical dialogue on the safety of young people both on and offline. “I am delighted to officially launch Thread nationally, now available free on Google Play and the Apple App Store, to help prevent this type of crime happening to another child. The app has been created by digital specialists KOJO, who work across huge commercial brands, the sophistication of the technology ensures its reliability and simplicity of use for both parents and children. “The reality is that not everyone has the right intentions, with this app we can potentially prevent crimes from happening. If Carly had this technology, the outcome may have been different for her,” said Ms Ryan. 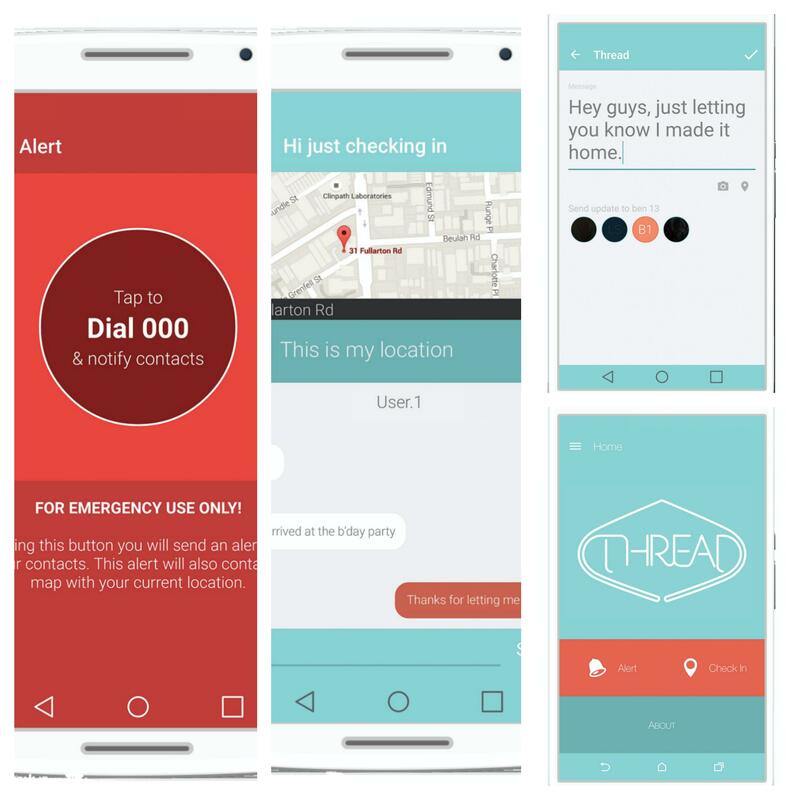 At its core, KOJO developed Thread to allow users to check in with their location to show they’re ok, start discussions with trusted contacts about online or offline dangers and, in the event of an emergency, send their location while dialling 000. Thread is pin protected so users can be assured that the communication they receive is genuine. 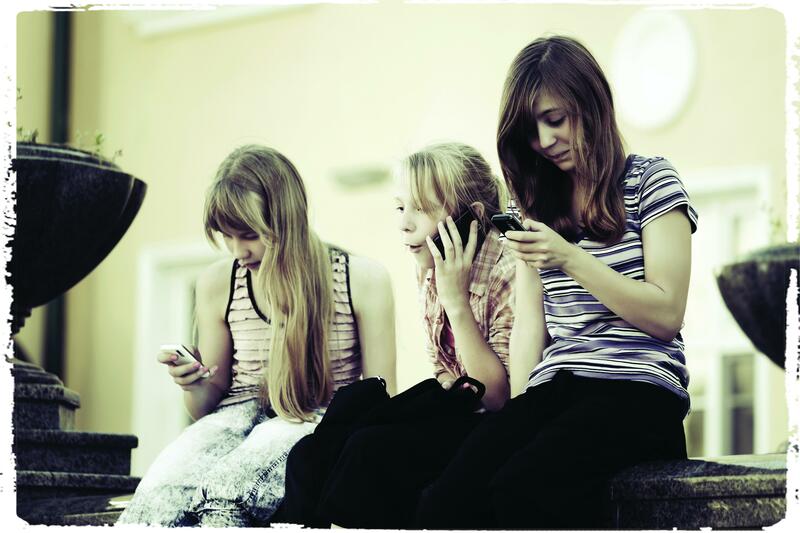 “If a teenager is at a friend’s house or a party and feels unsure of their safety, they can discreetly send their location to their emergency contacts. Thread provides an immediate connection between that child’s location, trusted contacts and emergency services,” said Ms Ryan. Thread has also been flagged for use in domestic violence cases, creating a vital link to support those in potentially dangerous situations. “What defines us as humans and Australians is how well we rise from such devastating situations. Thread ensures we are on our way to really making a difference and as a community able to prevent these horrific crimes from occurring,” concluded Ms Ryan. The Minister for Education and Child Development, the Hon Susan Close MP, said the South Australian Government is a proud supporter of the work of the Carly Ryan Foundation and that the app provides a valuable resource for children and their parents. “As a parent, you often feel conflicted about how quickly children grow up, and it can be a particularly daunting transition for both parent and child when children start venturing out alone. “Thread helps families and friendship groups to retain a sense of safety and connectedness in spite of any physical separation and, in a time of need, will allow users to send prompt and relevant information to a preferred contact group. “It provides another layer of care and protection for young people and peace of mind for parents and guardians,” said Minister Close. The Children’s eSafety Commissioner, Alastair MacGibbon commented that technology like Thread is critical to ensuring the safety of the community. “Thread is a powerful tool that can keep children and the wider community safe, especially those in vulnerable situations, whether it involves meeting a stranger online or family violence. Thank you to Sonya and everyone at the Carly Ryan Foundation for their continuous efforts in this space,” said Mr MacGibbon. Independent Senator for South Australia and long-time supporter of the Carly Ryan Foundation, Nick Xenophon commented that Thread will protect young people from predators. “Thread enables young people and their families to be safe from predators. If all young people have access to Thread, it will make for a much safer community. “It’s important that every tier of government; state, federal and even local governments, come together to promote this app and the benefits it can have on our community,” concluded Mr Xenophon. Stephen Lord, Chief Strategy Officer, KOJO who partnered with the Carly Ryan Foundation to develop Thread is proud to launch this innovative app. “We’ve been a supporter of the Carly Ryan Foundation for years and are proud to have developed Thread and now be launching it to the market as a free app that can potentially save lives. “We focused on how teenagers use technology and created a simple interface where users can quickly and easily communicate with trusted contacts or call for help. This technology puts the power in the users hands and allows them to make decisive action immediately. It is our hope that parents and their kids talk about what to do in dangerous scenarios and include Thread as part of their action-plan,” said Mr Lord.